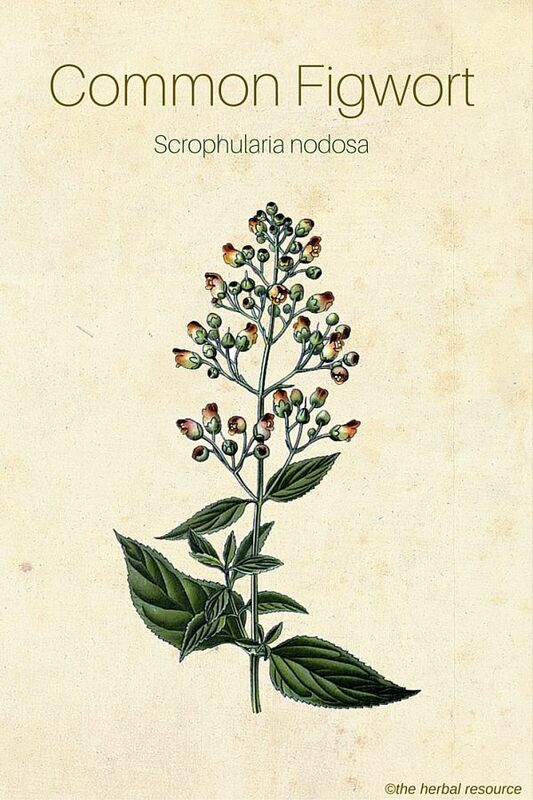 Other Common Names: Knotted figwort, woodland figwort, rosenoble, throatwort, carpenters square, kernelwort, scrophula plant, escrophularia (Spanish), knoldbrunro (Danish), Knotige Braunwurz (German), scrophulaire noueuse (French). Habitat: Common figwort grows wild in Europe and Western Asia. It is sometimes used as an ornamental plant in gardens. Description: Common figwort is a perennial herb of the Scrophulariaceae or the figwort family. 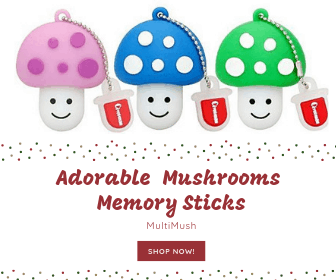 It can grow up to 120 cm in height and has a horizontal rhizome with bulbous, tuber-shaped joints and side shoots. The plant has smooth, square-shaped erect stems with opposite, oval or heart-shaped, dark green leaves. The flowers are green with red-brown upper lips and small green sepals. Plant Parts Used: The stems and leaves are harvested in July when the plant is in bloom and dried for later use in liquid extracts, tinctures, and ointments. The plant has an unpleasant aroma and a bitter taste. In China, the root of Chinese figwort (Scrophularia ningpoensis), a closely related species, is used for the same health purposes. Common figwort contains amino acids, flavonoids, phenolic acids (ferulic acid, vanillic acid, caffeic acid, cinnamic acid), saponins, cardiac glycoside, phytosterols, essential fatty acids, and asparagine. 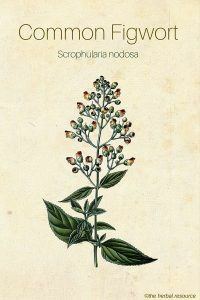 The scientific Genus name, Scrophularia, comes from the plant’s traditional use as a remedy for scrofula, a tuberculous infection of the lymph nodes in the neck. This use was due to the resemblance of the bulbous shape of the plant’s rhizomes to swollen glands which is explained by “doctrine of signatures”, a philosophy shared by herbalists from the time of Galen (130 — 200 AD). This doctrine states that a herb that resembles a specific body part could also be used to treat ailments afflicting it. In the Middle Ages, the herb was thought to be one of the best medicinal plants to treat swellings and tumors. Common figwort is considered as a good diuretic and “blood cleansing” herb that also has mild laxative and analgesic properties and a stimulating effect on the liver, heart and blood circulation. Today the herb is primarily used for its cleansing and detoxifying properties. It is believed to stimulate the lymphatic system, and is used externally for chronic skin diseases such as eczema and psoriasis and also to treat itching and hemorrhoids. Additionally, it is used for inflamed and swollen lymph glands and poor blood circulation. In the treatment of skin disorders the herb is often used in combination with yellow dock (Rumex crispus). The herb can be used as a gentle laxative to treat constipation. 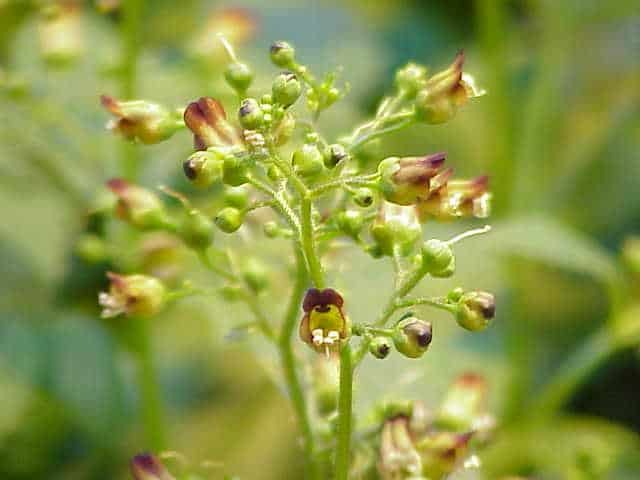 Common figwort contains the substance aucubin, an iridoid glycoside, which has a mild laxative effect and increases the renal excretion of uric acid. The compounds harpagoside and harpagid found in the herb are thought to have the ability to soothe joint pain. The same compounds can be found in devil’s claw (Harpagophytum procumbens). Common figwort has sometimes been used traditionally as an [easyazon_link identifier=”B00N6M604O” locale=”US” tag=”herbal-resource-20″]herbal tea[/easyazon_link] to treat the common cold and is often mixed with purple coneflower (Echinacea purpurea), lemon balm (Melissa officinalis), or peppermint (Mentha x piperita pipe). There is some indication that common figwort could be effective against some types of cancers. Whether this is the case is too early to say and more research is needed to confirm this. 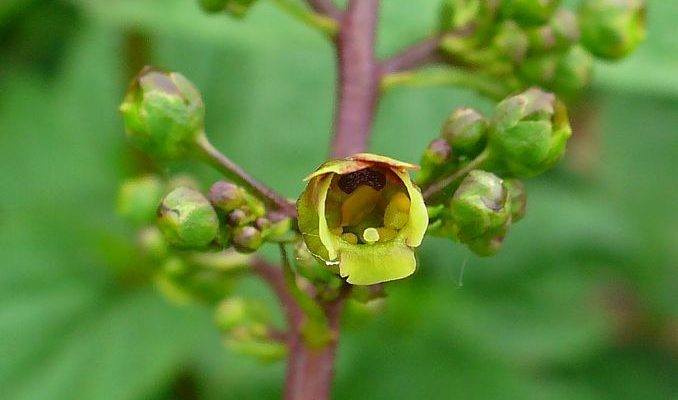 The appropriate and therapeutic dose of common figwort can depend on the user’s age, health, and several other conditions so a trained herbalist or other health care provider knowledgeable in the use of medicinal herbs should be consulted prior to use. Until more research has been done on the safety of common figwort, the herb should not be used by pregnant or nursing women and should not be given to children. The plant is closely related to foxglove (Digitalis purpurea) and both plants contain cardiac glycosides that can affect the heart. Although common figwort contains far less of these compounds than foxglove, special care should be taken when using the herb internally and it should be completely avoided by people with heart problems of all kinds. When ingested in large amounts the herb can cause vomiting and diarrhea. My Naturopath prescribed this herb in combination with others, so I decided to educate myself on it. I have been sickly for one and a half years already, and despite all the changes in my life, stuff keeps happening. I recently underwent an operation on my nose for squamous carcinoma on my nose. along with that I had a lot of unwanted bacteria in my system, probably due to a low immune system. Ive been taking this herb with others to gently detox my body, but I see that it might also be good for cancer cells and lymph nodes. Good stuff!